Animal Welfare Archives - Fuhrmann S.A. 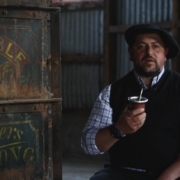 In the second episode of our new video documentary, our Commercial and Sustainability Manager Willy Gallia continues his journey to Sofia, a farm managed by Fuhrmann, located in the department of Gastre, Chubut Province. 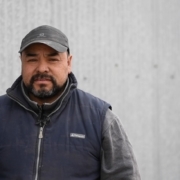 In the first episode of our new video documentary, we go on a journey with our Commercial and Sustainability Manager Willy Gallia to overlook the shearing on one of the Fuhrmann managed farms. 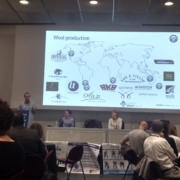 On 22-24 October 2018, we took part in the Textile Exchange conference 2018 held in Milan, Italy. The event was an interesting learning experience for us and we would like to share our impressions with you here on our blog. 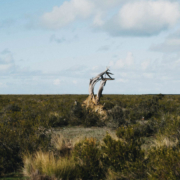 As of October 2018, Fuhrmann is an official supplier of Textile Exchange’s Responsible Wool Standard certified wool. The certification was obtained for all 12 Fuhrmann managed farms across Patagonia as well as the scouring and combing mill based in Trelew. We are constantly questioning why we do what we do. 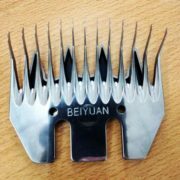 Fuhrmann uses snow combs to shear sheep on its farms because, although it yields less wool per sheep, it leaves sheep with a thin layer of wool that protects them in case of unusually cold weather the Patagonian spring season.